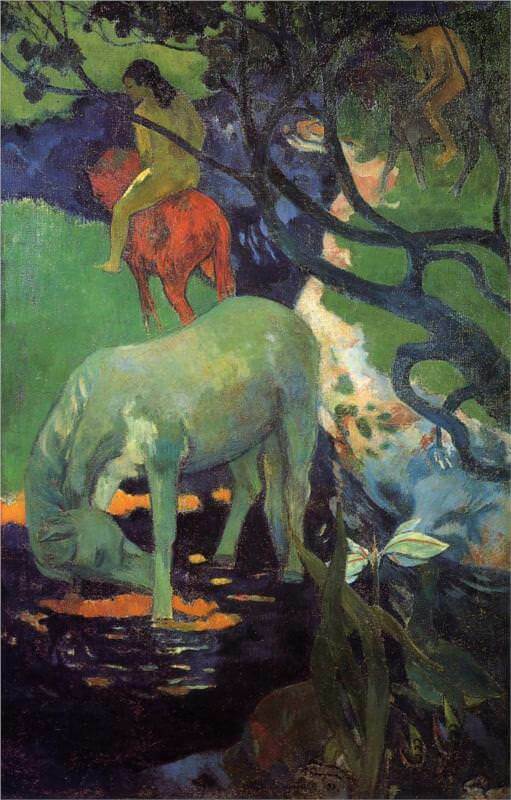 Most naturalist of all, the "white" horse (whose movement seems like the symbolic gesture of a pawing Pegasus out of Redon's imaginative art), is painted grayish-green because the light upon it has been filtered through the leaves above. Isolated and riderless, self-contained in an otherwise active composition, its mystery and strangeness spreads, and suffuses the whole painting. Copyright © 2011-Present www.Gauguin.org All Rights Reserved.